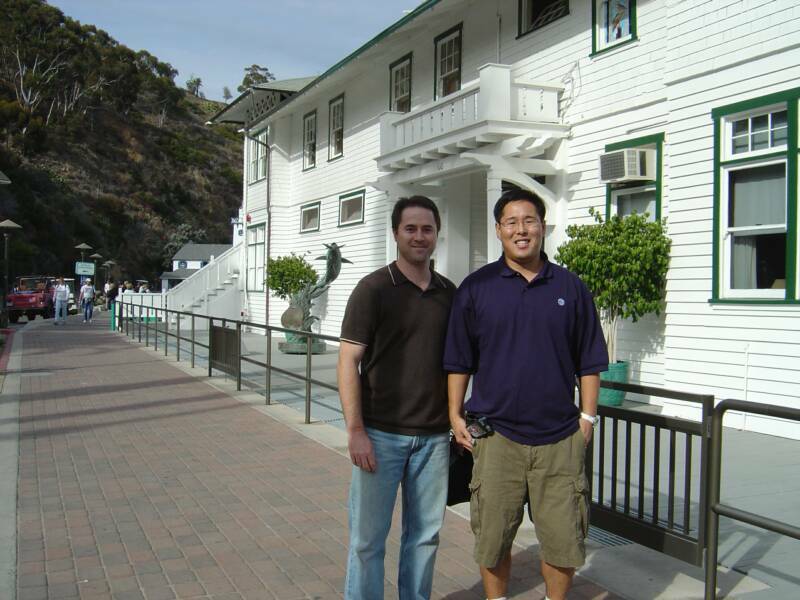 On November 2006, a research trip to Catalina and Southern California commenced. During this trip we visited with Gale Lingle the granddaughter of Jonah Jones Jr. (third owner of the Ida May). 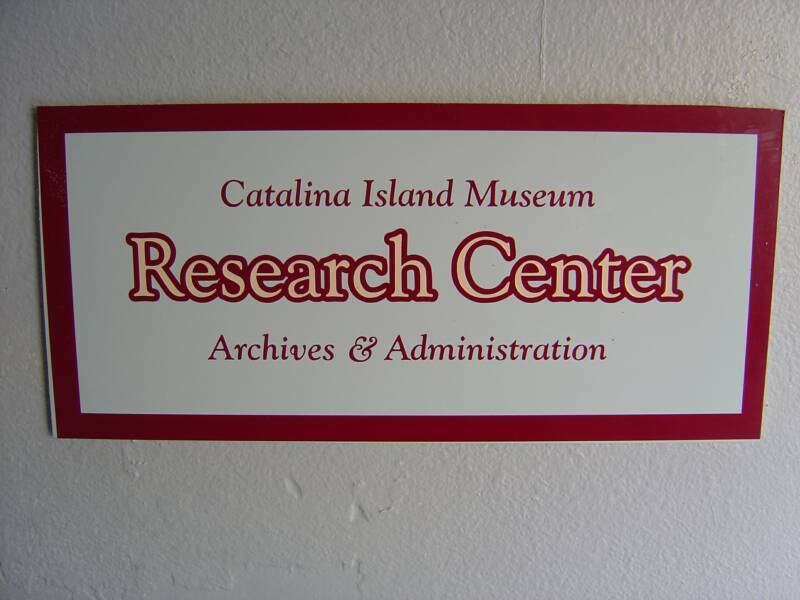 We also visited the Catalina Island Museum and Research Center. 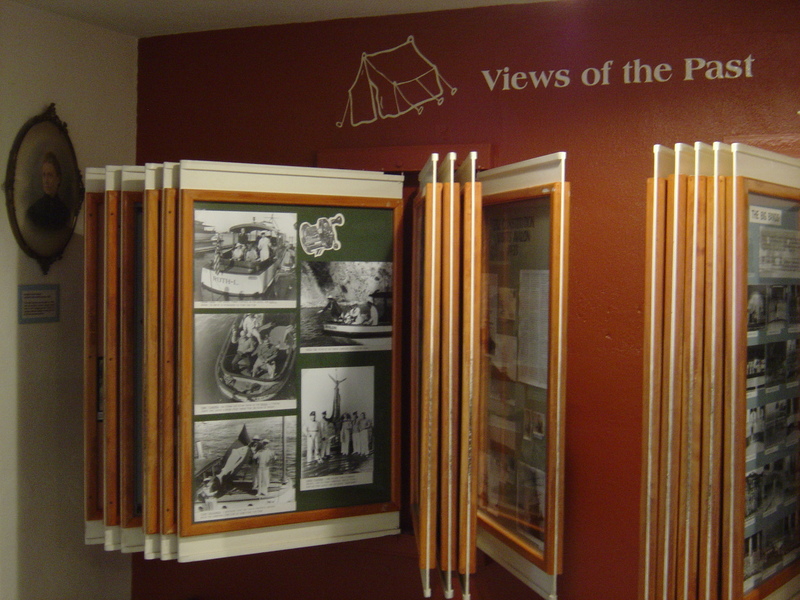 At the Research Center we met with the Curator, Jeannine Pedersen and carefully scoured their archives. Ms. Pedersen was helpful with our research and we learned valuable information regarding the Ida May and her past owners. 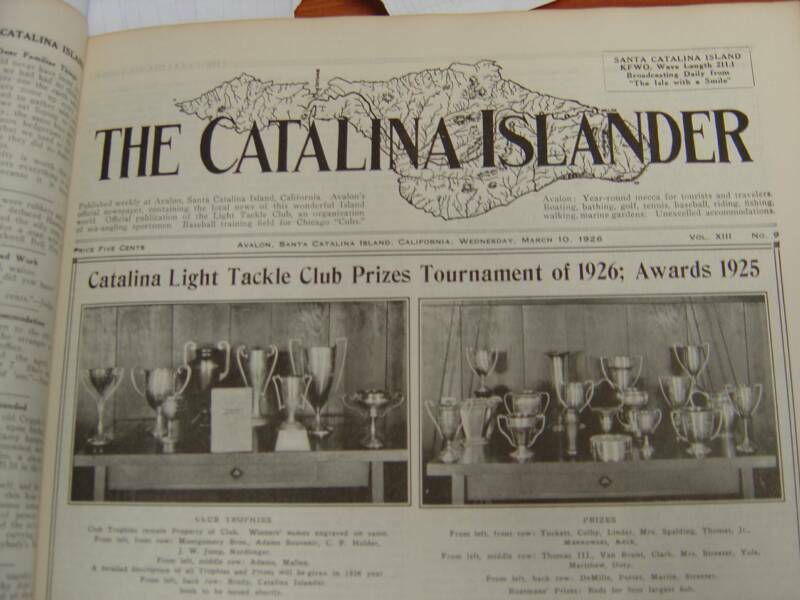 We also had the pleasure to meet with Mr. Doug Bombard, the owner of the Catalina Express, and one of the most knowledgeable individuals on the history of Catalina Island. 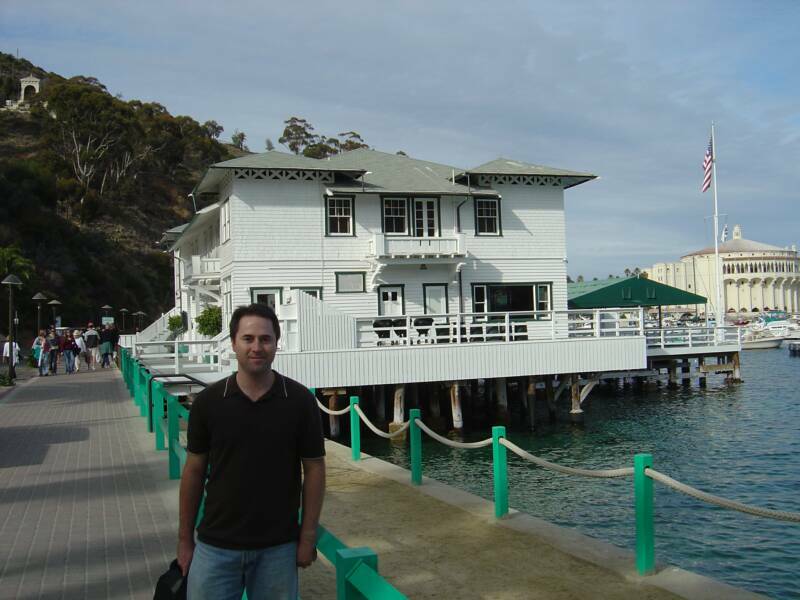 Doug grew up on Catalina and reminisced with us. 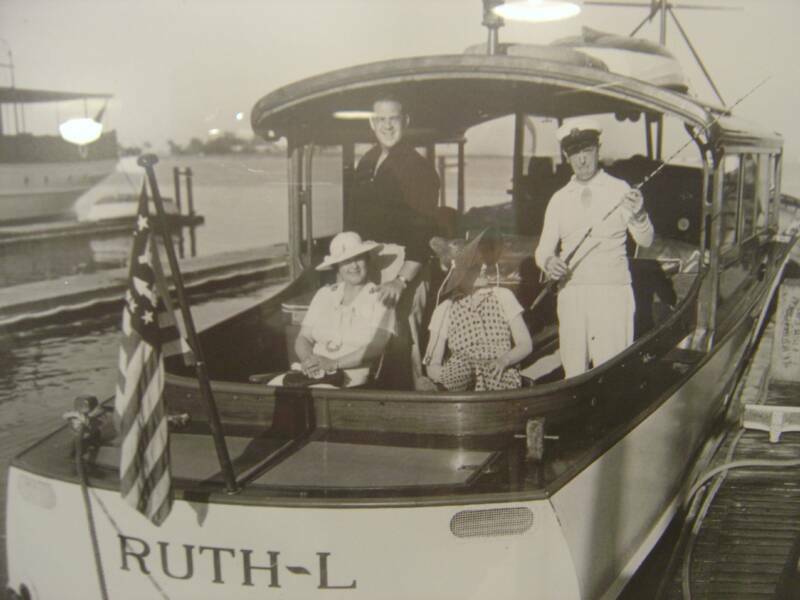 He remembered when Stan Laurel owned the Ruth L. (Ida May) and even remembered where the yacht was moored. President Hoover fishing on the Ida May. 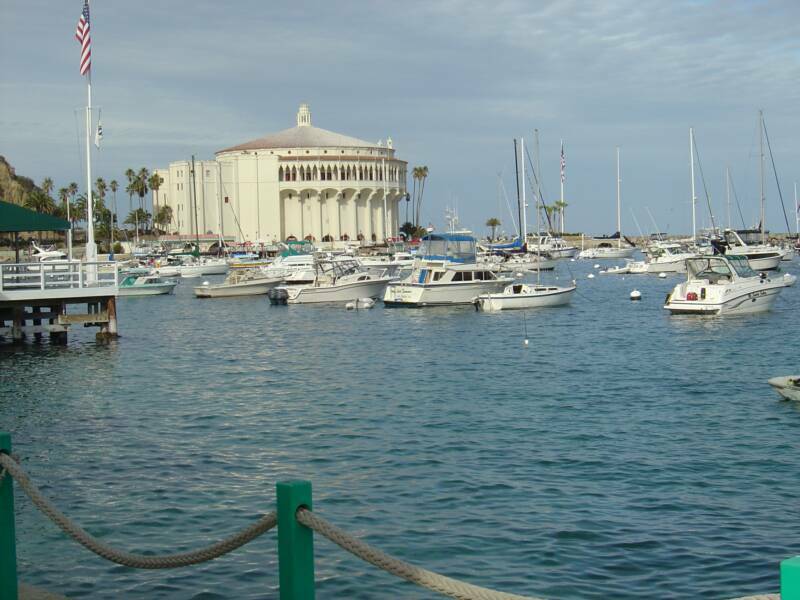 The Casino Building at Catalina Island. The Ida May would have been moored near the boat located on the far right from 1926-1976. The deck to the far left with the flag pole is part of the Catalina Tuna Club. 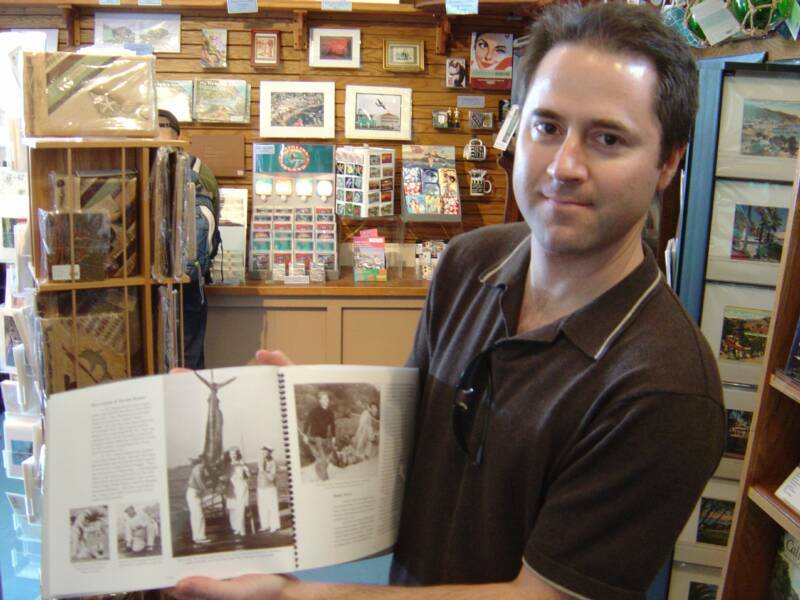 The three photos below were taken next to the Catalina Tuna Club just before we met with Mike Rivkin, the President of the Tuna Club. Mr. Rivkin provided us an incredible and informative tour of the Tuna Club. It was an honor for us to step foot into this private club well known to be the founding club for big-game fishing. Many of the most influential people of America were members of this prestigious club. 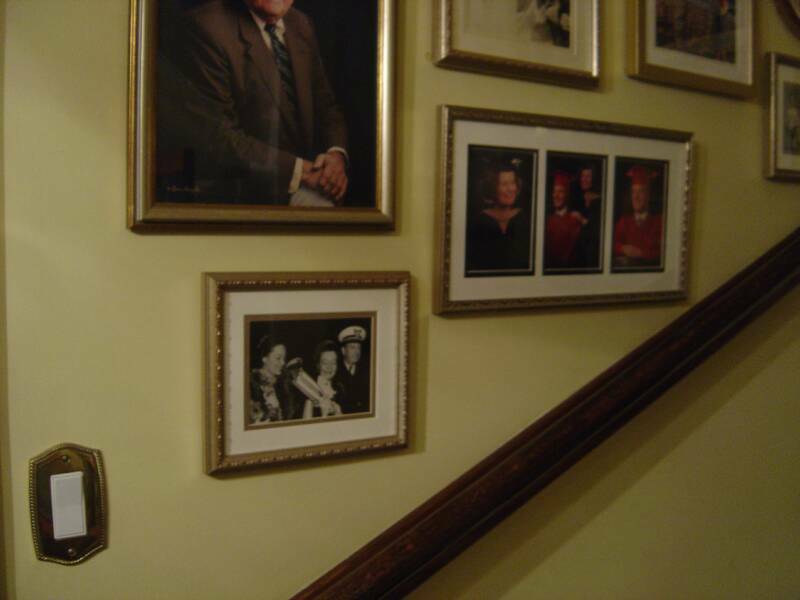 It was also very special to be able to see artifacts and photos of the past owners of the Ida May. 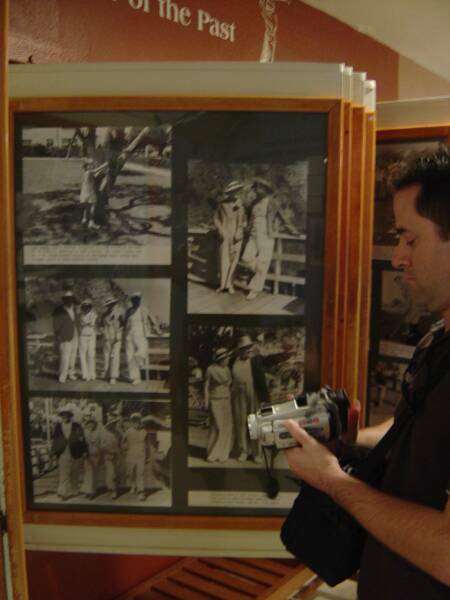 It was surreal to walk through the very halls and rooms that Willard Van Brunt, Stan Laurel and Jonah Jones Jr. would have spent many hours telling tales of their fishing adventures. 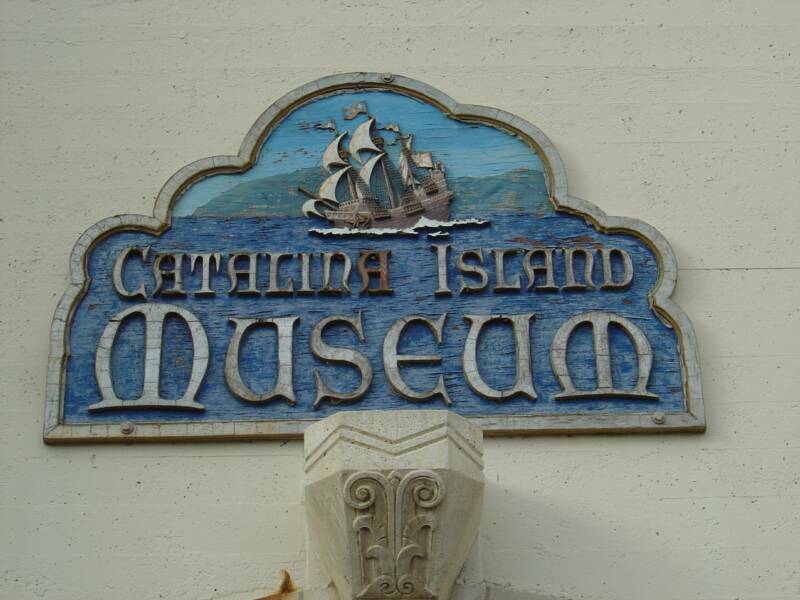 A visit to the Catalina Island Museum was most memorable. 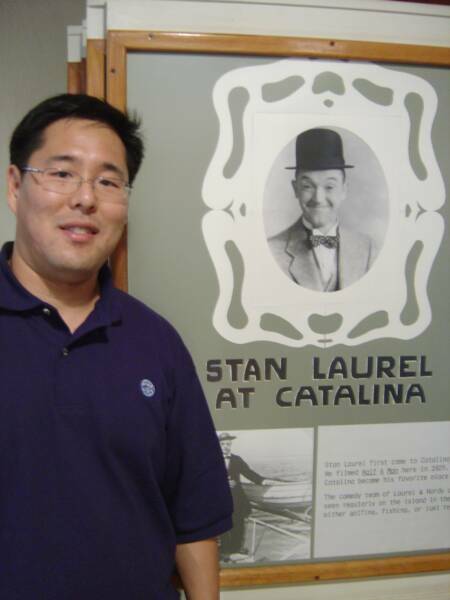 A small section, "Views of th Past," was devoted to Laurel and Hardy and many other celebrities who spent time on Catalina Island during the 1920s, 1930s, and 1940s. 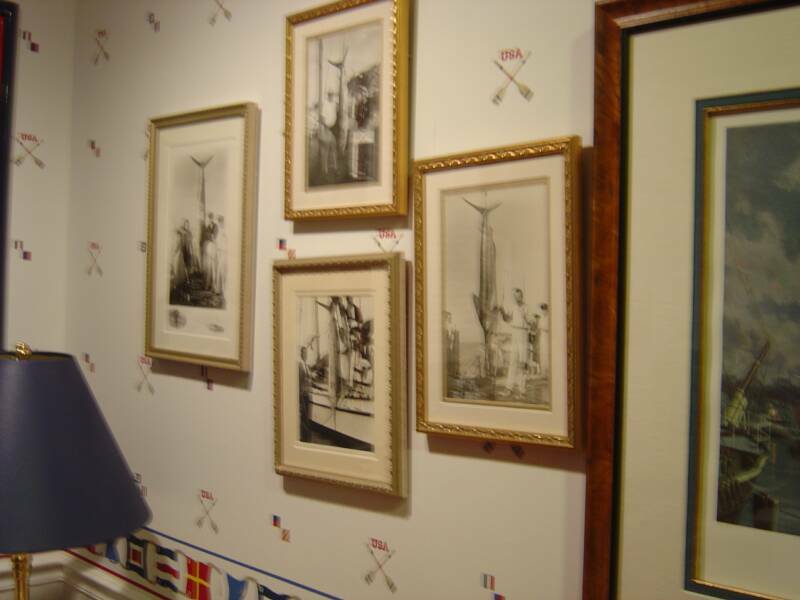 It was thrilling to see the photos of the Ruth L. (Ida May) and Stan Laurel at the museum. 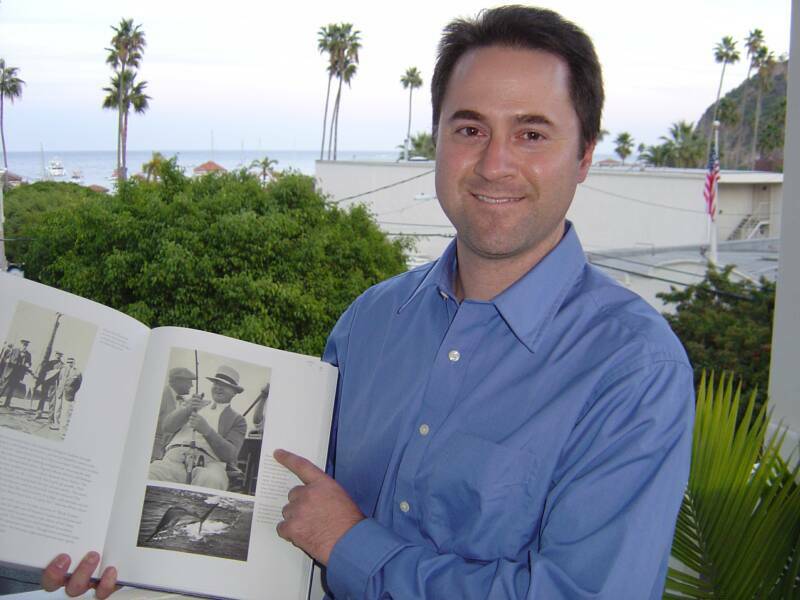 The photo to the left and below shows Stan Laurel (Laurel and Hardy comedy fame) on the Ruth L.
Steve is holding a book showing a photo of Stan and Ruth Laurel next to the 258 lb Marlin they caught on the Ruth L. (Ida May). 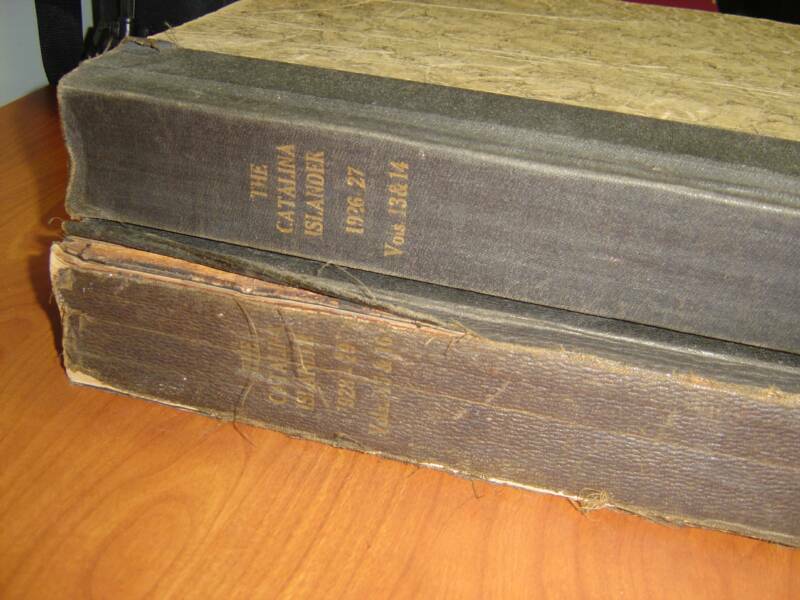 Another interesting discovery to find yet another publication with the Ida May and its past owners. Another memorable aspect of our research trip was meeting with Gale and Ted Lingle. Gale is the granddaughter of the Jonah Jones Jr. (1901-1976) the third owner of the Nada III (Ida May). 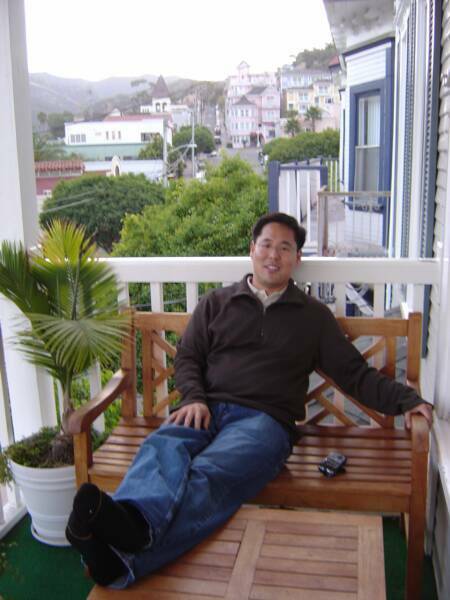 Jonah was a prominent and well respected attorney. Jones was Howard Hughes' attorney and he wrote many of the oil laws of California. 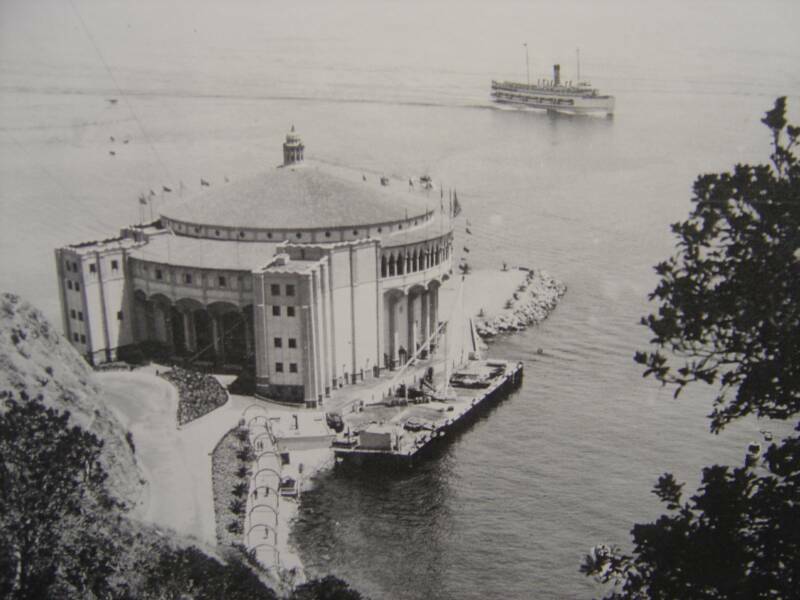 He was a multi-millionaire and owned a significant portion of oil-rich Signal Hill in Southern California. The photos below are taken at Gale's home in Long Beach (previously her grandfathers, which made it all more special for us). The Lingle's hospitality carried over to a visit and wonderful dinner at the Long Beach Yacht Club. Her grandfather, Jonah, was also a founder of this club. 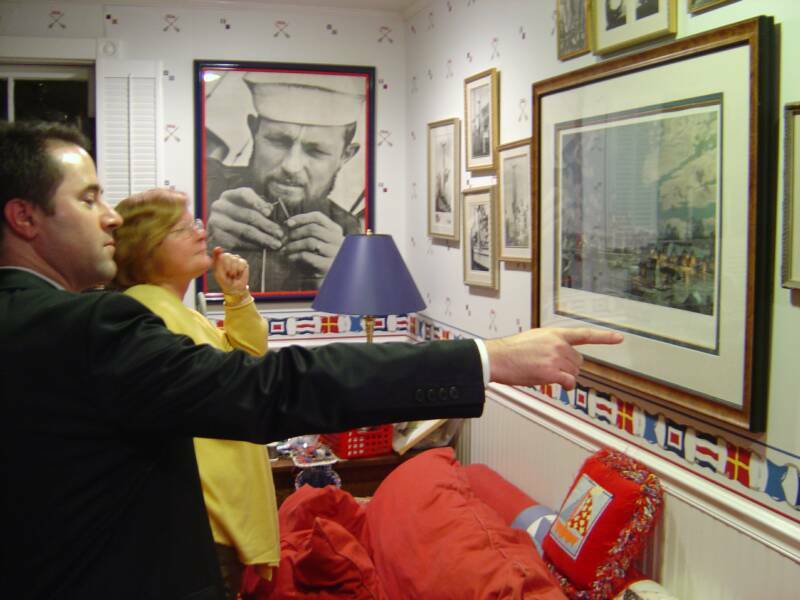 We thank Gale for sharing wonderful stories of her childhood on the Nada III (Ida May) and opening her home to us. Photo of Nada Jones. Jonah renamed the yacht, Nada III, after his daughter. This is Gale's mother. Steve and Gale looking at photos in her home and reminiscing about the days when Jonah, her grandfather owned the Nada III (Ida May). 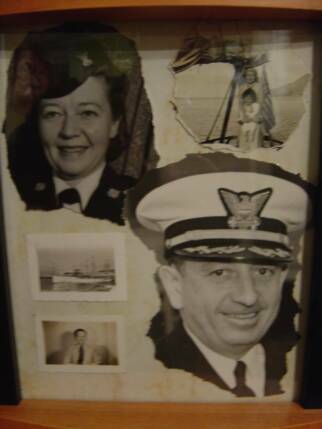 Photos of Gale's grandparents, Jonah and Helen Jones. 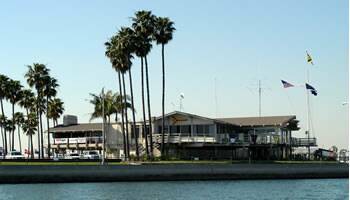 A visit to Long Beach Yacht Club. 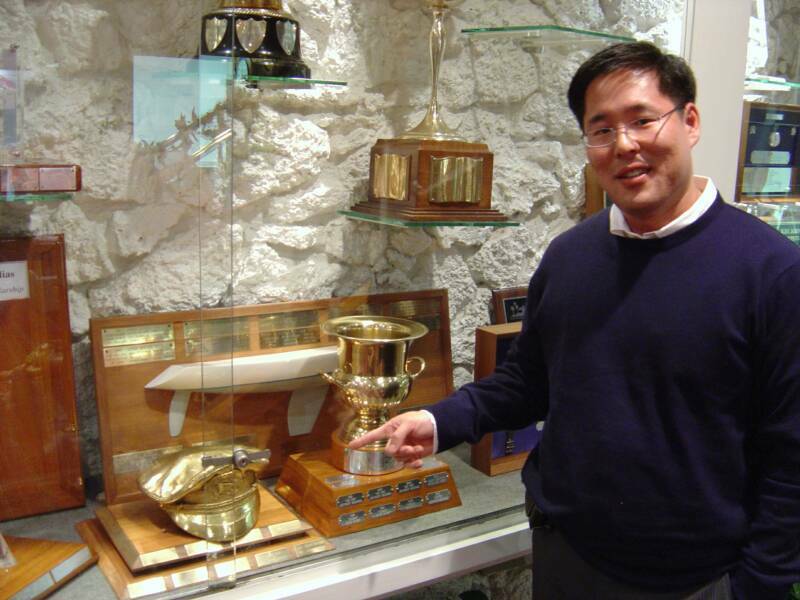 Jonah was proud of the fact that he was member #1 and was a founder of the yacht club. 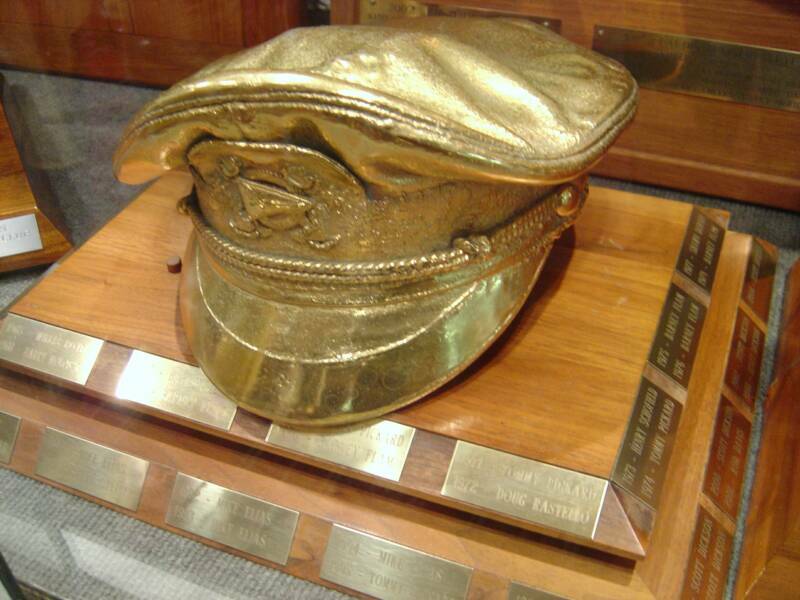 Jonah Jones' actual Captain's cap which has been brassed and is on display at the LBYC. Ted and Gale Lingle, Bob and Steve. 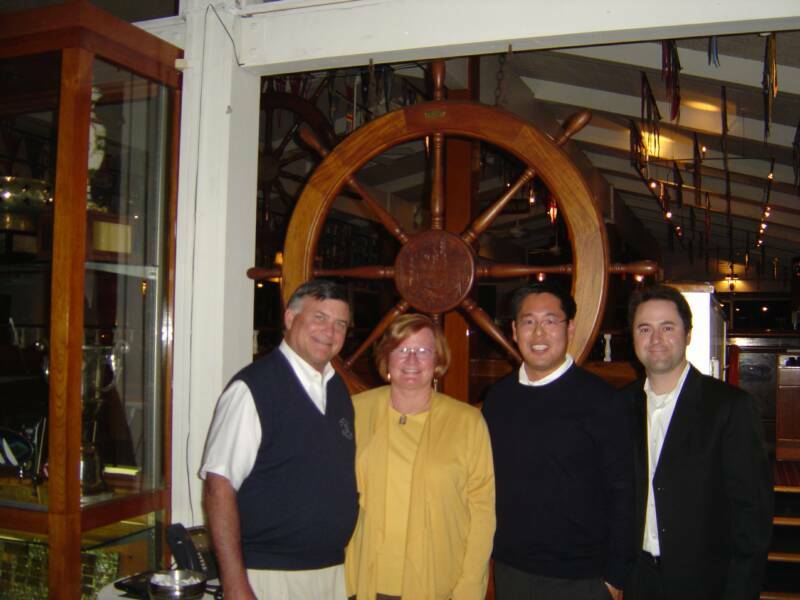 The giant ship's wheel was provided to the Long Beach Yacht Club by Jonah Jones Jr. 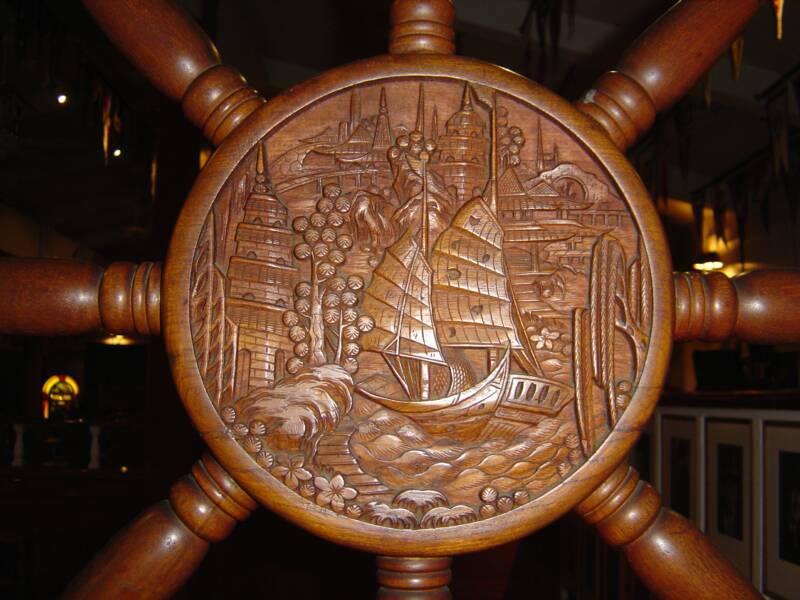 This was carved in the 1940s by a wood carver in China. Jonah commissioned the artist to make this piece after a visit to China. Jonah had the same artist carve the panels in the main salon on the Ida May. The panels on the Ida May were inspired by a 1943 National Geographic article showing underwater photos of marine life. Jonah loved these photos and provided them to the artist for inspiration for the Ida May carvings. The panels are still in exquisite condition with great detail and have been preserved for all to see on the Ida May. 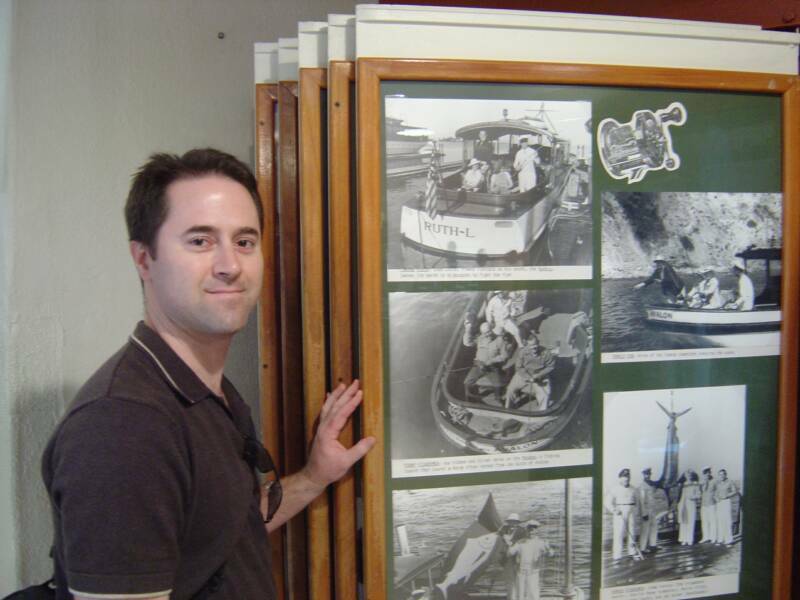 Steve standing next to photos of past Commodores of the LBYC. 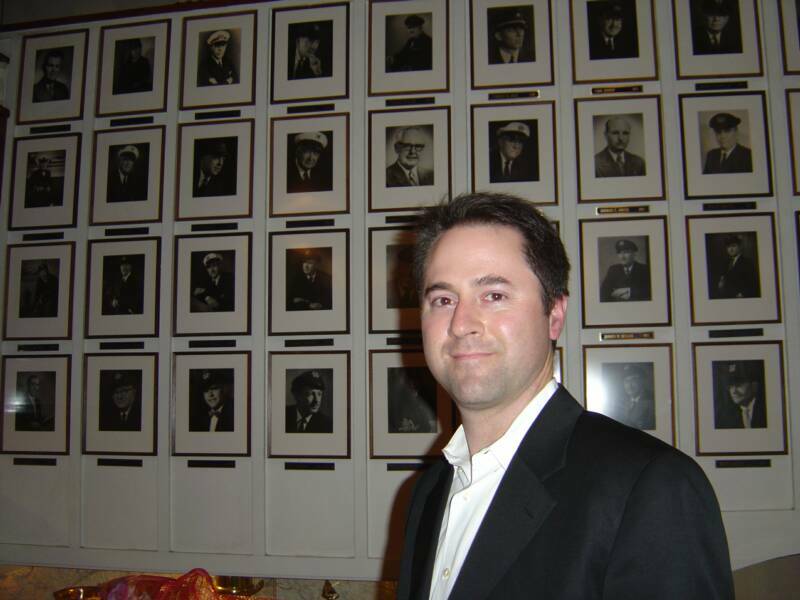 Jonah Jones was the Commodore of the yacht club in 1947 and is pictured 4th from the top. Relaxing at the hotel after a long day of looking at hundreds of pages of the Catalina Islander newspaper from the 1920s and 1930s. 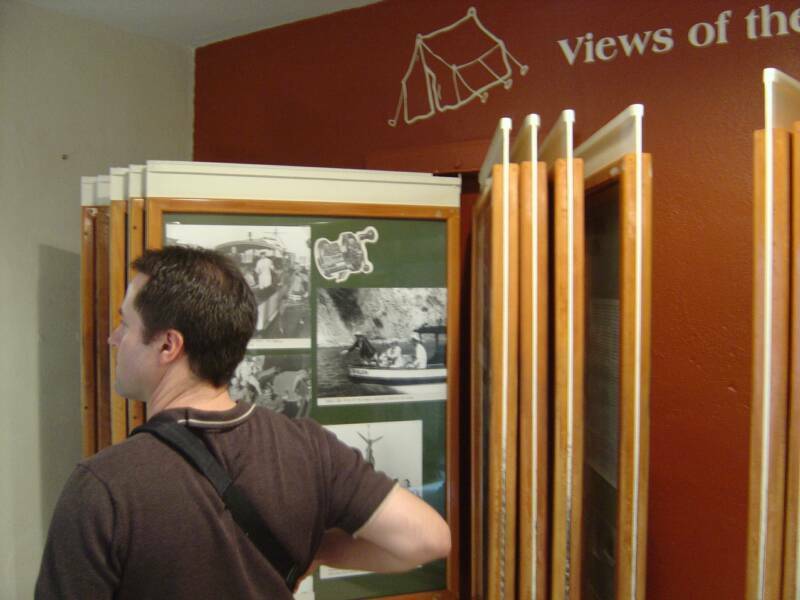 We were unable to finish our research on Catalina Island as the two days did not provide us enough time. 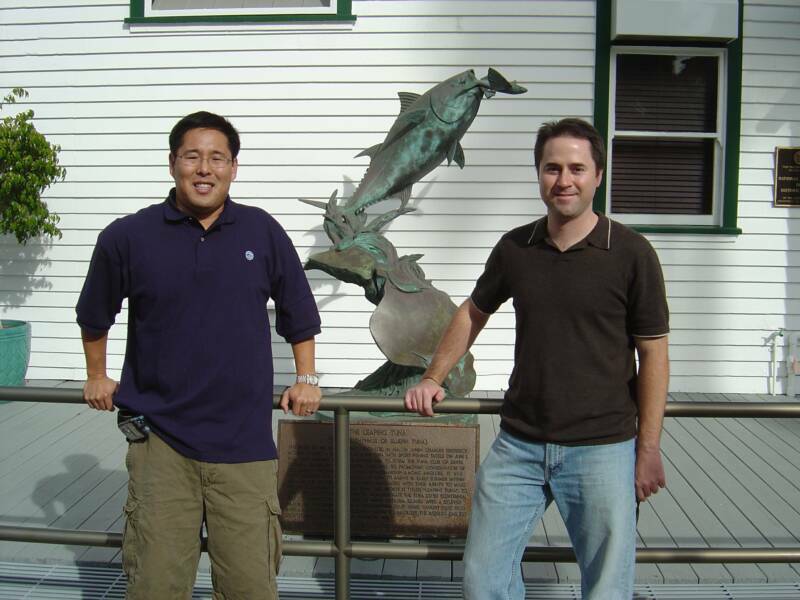 This was our second research trip to Southern California and we are already planning another visit in the fall of 2007. We have discovered hundreds of articles and pictures documenting the rich history of this historic vessel. Every week and month we are surprised to learn more. 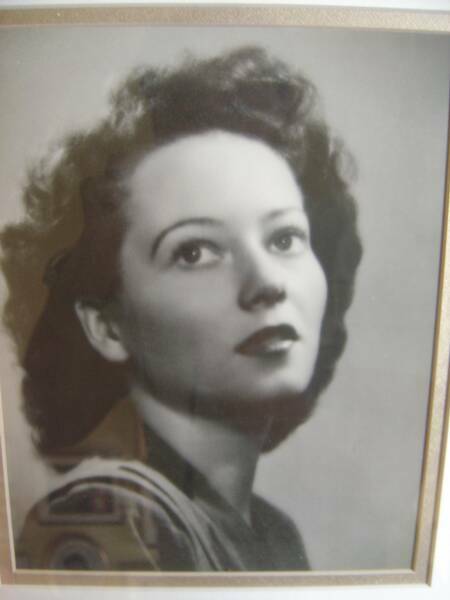 Our conversations with previous family members who have owned the Ida May help inspire us to document more and share with everyone her unique history. This restoration is not only a culmination of our fascination with this old wooden boat but the understanding we are preserving a piece of Americana. We hope to one day share our vision with everyone interested. 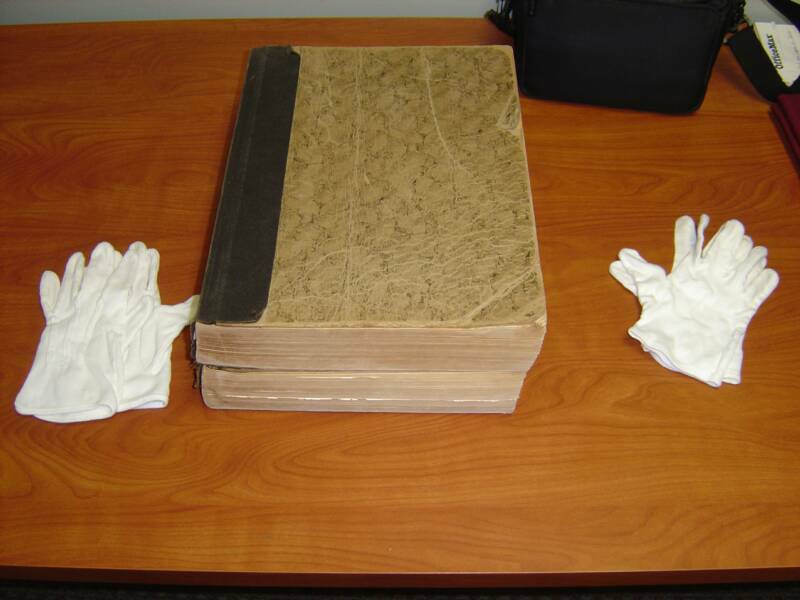 Steve with white gloves donned carefully looking for any mention of the Ida May and her previous owners. 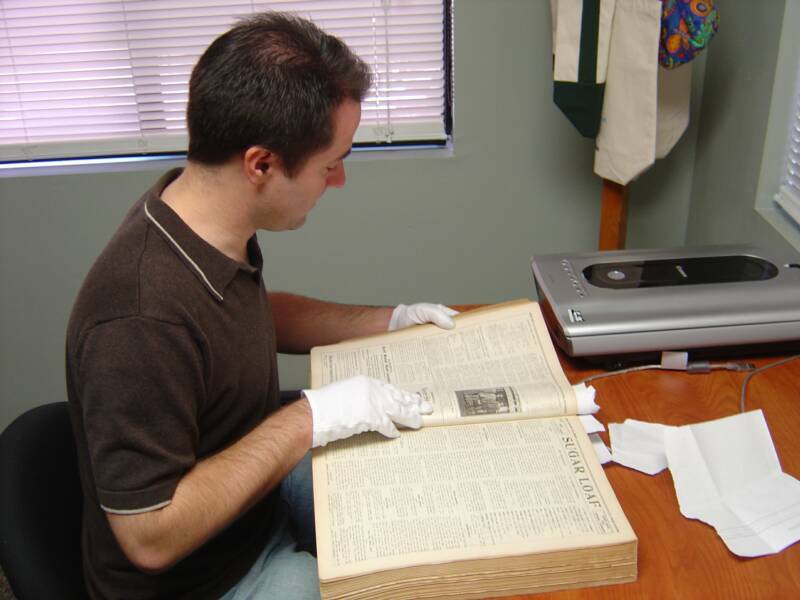 Researching through 1926 - 1937 newspaper archives.